Cisco - Catalyst 2900 Cisco Catalyst 2900 XL Series 12 Port 10BaseT/100BaseTX Ethernet Network Switch WS-C2912-XL-EN. Cisco - Catalyst 4912G Genuine Original Cisco Systems Catalyst 4912G Series 12-Port Gigabit Ethernet Switch WS-C4912G. Cisco - WS-CE500G-12TC WS-CE500G-12TC Cisco Catalyst Express 500G-12TC Switch 12 Ports Managed Desktop. New Factory Sealed. Netgear - GSM5212-100NES GSM5212-100NES Netgear - Prosafe M4100-D12g Ethernet Switch12 Ports Manageable12 X Rj-452 X Expansion Slots10 100 1000base-T - Desktop Wall Mountable. New Retail Factory Sealed With Full Manufacturer Warranty. 3COM - 3C168917 3C168917 3COM Switch 7700 12 Port 1000base X With 4 Port 10 100 1000base T Module. New Bulk Pack. TP-Link - TL-SG5412F TL-SG5412F TP-LINK 12-Port Gigabit SFP L2 Managed Switch with 4 Combo 1000BASE-T Ports - Manageable - 12 x Expansion Slots - 10 100 1000Base-T - Desktop Rack-mountable. New Retail Factory Sealed With Full Manufacturer Warranty. Cisco - WS-X5213A WS-X5213A Cisco Catalyst 5000 12-Port 10 100 Switch Module. New Factory Sealed. Juniper - EX2200-C-12T-2G EX2200-C-12T-2G Juniper Ex2200-c Layer 3 Switch Ex2200-c Compact Fanless Switch W 12port. New Retail Factory Sealed With Full Manufacturer Warranty. 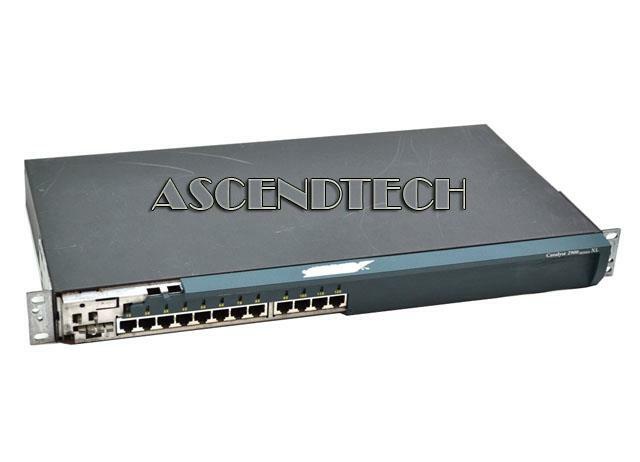 3COM - 3CR17660-91-US 3COM - SWITCH 4200G 12 PORTS LAYER 3 8 10/100/1000BT 4 1000BASE-T LAN PORT (3CR17660-91-US). NEW RETAIL FACTORY SEALED. IN STOCK. SHIP SAME DAY. 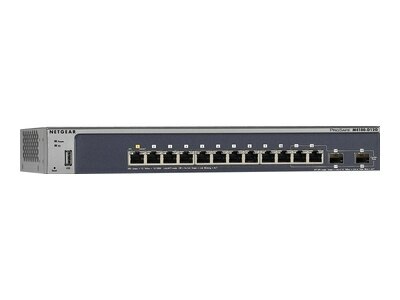 Netgear - GSM7212F-100NES GSM7212F-100NES Netgear Prosafe GSM7212F Switch 12 Ports Managed Desktop Rack Mountable. New Retail Factory Sealed With Full Manufacturer Warranty. 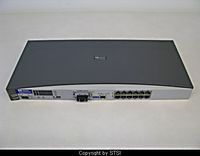 Brocade - ICX6450-C12-PD ICX6450-C12-PD Brocade-Switch-12 Ports-L3-Managed. New Bulk Pack. Juniper - EX2300-C-12P EX2300-C-12P Juniper Ex Series Switch - L3 - 12 Ports - Managed - 12 X 10 100 1000 (POE+) + 2 X Gigabit SFP 10 Gigabit SFP+ Rack-Mountable. New Retail Factory Sealed With Full Manufacturer Warranty. Cisco - WS-C3750G-12S-S WS-C3750G-12S-S Cisco Catalyst 3750G-12S-S SMI Gigabit EN 12 Port Switch. New Factory Sealed. Cisco - CON-NCDT-C1WS385S CON-NCDT-C1WS385S Cisco SMARTnet for Cisco ONE Catalyst 3850 12 Port 10G Fiber Switch IP Base. New Factory Sealed. Nortel - AL2001A22-E5 AL2001A22-E5 NORTEL Opterametro 1400 Ethernet Services 12 Port Module Switch. New Bulk Pack. Dell - 210-AEOQ 210-AEOQ Dell X4012 Switch 12 Ports Managed - Rack-Mountable. New Retail Factory Sealed With Full Manufacturer Warranty. Dell - 210-ADPE 210-ADPE Dell X4012 Switch 12 Ports Managed -Rack-Mountable. New Retail Factory Sealed With Full Manufacturer Warranty. Dell - X4012 X4012 Dell Switch 12 Ports Managed -Rack-Mountable. New Retail Factory Sealed With Full Manufacturer Warranty. Dell - FVW42 FVW42 Dell - X4012 - Switch - 12 Ports - Managed - Rack-Mountable. New Retail Factory Sealed With Full Manufacturer Warranty. Cisco - CON-SSSNP-WSC3851X CON-SSSNP-WSC3851X Cisco SMARTnet for Cisco Catalyst 3850 12 Port 10G Fiber Switch IP Base. New Factory Sealed. ZyXel - XS1920-12 XS1920-12 Zyxel 12-Port 10GBe Smart Managed Switch. New Bulk Pack. Cisco - CON-SSSNP-WSC3851E CON-SSSNP-WSC3851E Cisco SMARTnet for Cisco Catalyst 3850 12 Port 10G Fiber Switch IP Services. New Factory Sealed. Hewlett Packard - JH295A#ABA JH295A#ABA HP Officeconnect 1950 12xGT 4sfp+Switch - 12 Ports - Rack-Mountable. New Retail Factory Sealed With Full Manufacturer Warranty. Hewlett Packard - JH295A JH295A HP Officeconnect 1950 12xGT 4sfp+Switch - 12 Ports - Rack-Mountable. New Retail Factory Sealed With Full Manufacturer Warranty. Hewlett Packard - JH295-61001 JH295-61001 HP Officeconnect 1950 12xGT 4sfp+ - Switch - 12 Ports - Rack-Mountable. New Retail Factory Sealed With Full Manufacturer Warranty. Hewlett Packard - J8763A HP/COMPAQ - PROCURVE SWITCH VL 12-PORT 100FX MTRJ MODULE EXPANSION MODULE (J8763A). NEW RETAIL FACTORY SEALED. IN STOCK. SHIP SAME DAY. 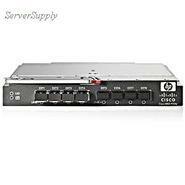 Hewlett Packard - AE370A AE370A HP Brocade 4GB SAN Switch C-Class Blade System 12 Ports 4.24GBPS. New Bulk Pack. Mellanox - MSX6005F-1BFS MSX6005F-1BFS Mellanox-Infiniband Sx6005-Switch-12 Ports-Unmanaged-Rack-Mountable. New Retail Factory Sealed With Full Manufacturer Warranty. Cisco - WS-C3850-12XS-S WS-C3850-12XS-S Cisco Catalyst 3850 12 Port 10G Fiber Switch IP Base. New Bulk Pack. Cisco - WS-C3850-12XS-E WS-C3850-12XS-E Cisco Catalyst 3850 12 Port 10G Fiber Switch IP Services. New Bulk Pack. Hewlett Packard - AJ820C AJ820C HP Brocade 8GB San Switch 8 12C Switch 12 Ports Managed Plug-In Module. New Retail Factory Sealed With Full Manufacturer Warranty. Cisco - ME-3400G-12CS-D ME-3400G-12CS-D Cisco 12 Port Dc Ethernet Access Switch. New Factory Sealed. Mellanox - MSX6012F-1BFS MSX6012F-1BFS Mellanox - Infiniband Sx6012 - Switch - 12 Ports - Managed - Rack-Mountable. New Retail Factory Sealed With Full Manufacture Warranty. Cisco - WS-C3750G-12S-SD WS-C3750G-12S-SD Cisco Catalyst 3750G-12S Fast EN 12 Port Switch. New Bulk Pack. Mellanox - MSX6012F-2BFS MSX6012F-2BFS MELLANOX-12-Port Non-Blocking Managed 56gb S Infiniband Vpi Sdn Switch System 56GBit S12 Infiniband Ports 12 X Expansion Slots. New Retail Factory Sealed With Full Manufacturer Warranty. Mellanox - MSX1012B-2BFS MSX1012B-2BFS MELLANOX Switchx-2 Sx1012 Switch 12 Ports Managed Rack-Mountable. New Retail Factory Sealed With Full Manufacturer Warranty. Cisco - WS-C3750G-12S-E CISCO - (WS-C3750G-12S-E) CATALYST 3750G 12-PORT SFP-BASED GIGABIT 10/100/1000 SWITCH (ENH). NEW RETAIL FACTORY SEALED. IN STOCK. SHIP SAME DAY. 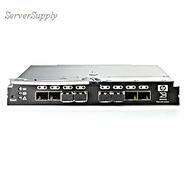 Cisco - C9500-12Q-E C9500-12Q-E Cisco Catalyst 9500 12-port 40G switch Network Essentials. New Factory Sealed. 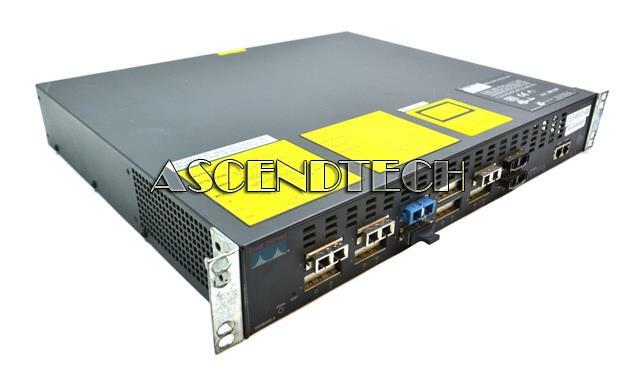 Cisco - C9500-12Q-A C9500-12Q-A Cisco Catalyst 9500 12-port 40G Switch Advantage. New Factory Sealed. 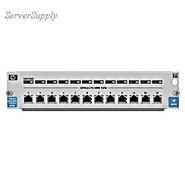 Hewlett Packard - 737230-B21 737230-B21 HP 6125XLG Ethernet Blade Switch - Switch 12 Ports Managed. New Retail Factory Sealed With Full Manufacturer Warranty.